Students at Vanier Elementary got a big assist, and a little star power, with their latest class projects. 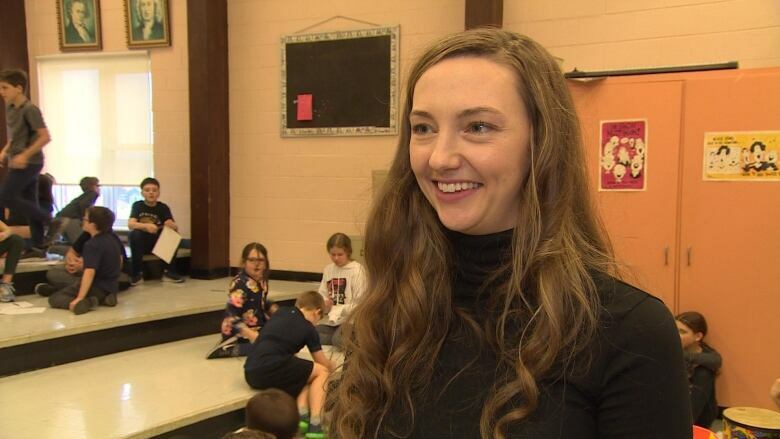 Students at an elementary school in St. John's got a big boost with their latest class projects, when local singer-songwriter Colleen Power stepped in to help the children record original songs en français. 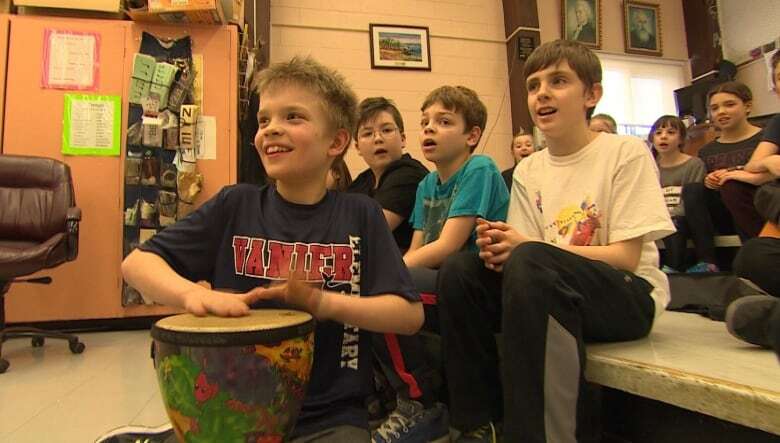 The assignment was a daunting one for the Grade 4, 5, and 6 French immersion students at Vanier Elementary, as they tested their language skills by trying to rhyme French words and phrases, and then fit those into a melody. Luckily Power, a longtime advocate for francophone culture in the province who has also released two French language albums, couldn't pass up the gig. "It was just a really, really fun thing for me to do." Power said. 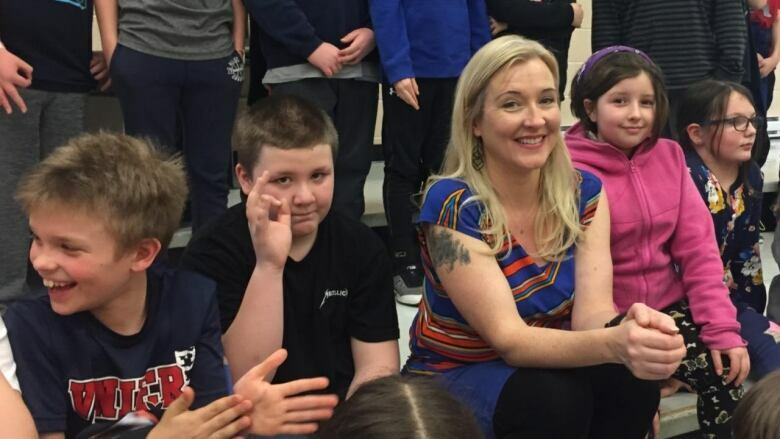 "To come in and have students, and young students, so enthusiastic about writing and singing in French, even though it's a challenge — we've got a small francophone population here in Newfoundland and Labrador... it really means a lot. It's awesome." Having Power's help meant a lot to the students as well. "It was so cool! I loved it," said Grade 6 student Marlow Green. "I don't usually have someone that professional singing with me. It was amazing." Grade 5 student Jacob Sheppard was also grateful for Power's help. "It was super cool to have a professional guitarist, singer, and I'm sure she does other instruments, someone like that with us," he said. The musical collaboration came about through the ArtsSmarts program, administered through ArtsNL. "We've always felt that projects we do on a larger scale are English. So it was nice to do something that was project-based learning in French, " said teacher Ashleigh Hudson. Each song began in a brainstorming session between Power, the students, and their teachers. Those turned into lyric-writing sessions, with melody composition coming in as the final piece of the musical puzzle. Then, Power brought in her guitar and recording equipment to lay down tracks of each group performing their song. She later added additional instrumentation and other studio magic, before bringing the finished songs back to the classrooms to debut. Each grade chose a different theme to write about, that also tied in with their ongoing studies. The Grade 4 students took a page from their science class and wrote about rocks: not rock music, but the three main types of rocks — sedimentary, metamorphic and igneous. They also took on the extra challenge of producing a music video, thanks to their tech-savvy teacher. "I am a person who really likes technology integration in the classroom." Hudson said. "I really wanted to incorporate a visual to go along with the song, to help people that maybe don't speak French." The Grade 6 class chose to write about Canadian society, including the economy, history and national identity. They also decided to rap the verses, an extra linguistic challenge that meant coming up with a lot more rhymes than a rock song. Finally, the Grade 5 class chose a classic songwriting theme: the passage of time, and the changes between then and now. "We were trying to relate to a social studies project we were doing in class." said Jacob Sheppard, "about the past, and how it is for 10-year-olds in the past and now. We were talking about the clothes and stuff, and we were trying to implement that into the song." Several students remarked that writing songs was harder than they thought it would be. Hudson said the extra challenge made for a richer learning experience. "I know they'll never forget the three types of rocks." Hudson said. 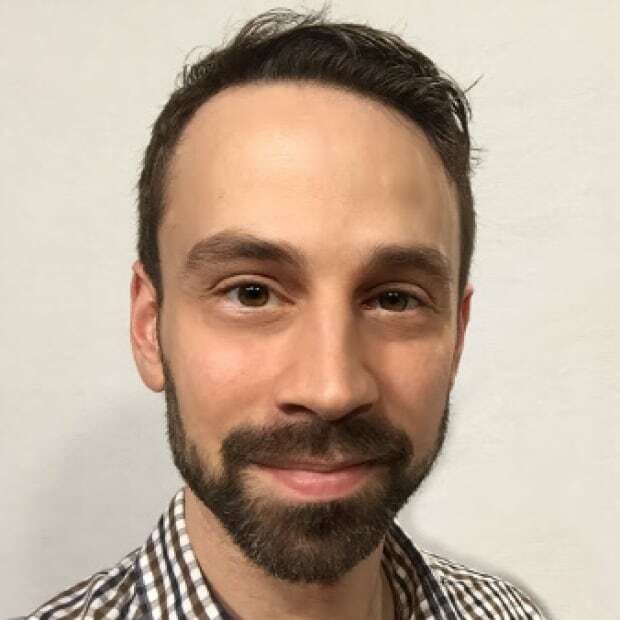 "Because we made a connection with their curriculum that was interesting and relevant to them." And if the students ever do struggle to recall the difference between sedimentary and igneous, they now have the finished tracks as a musical reminder.